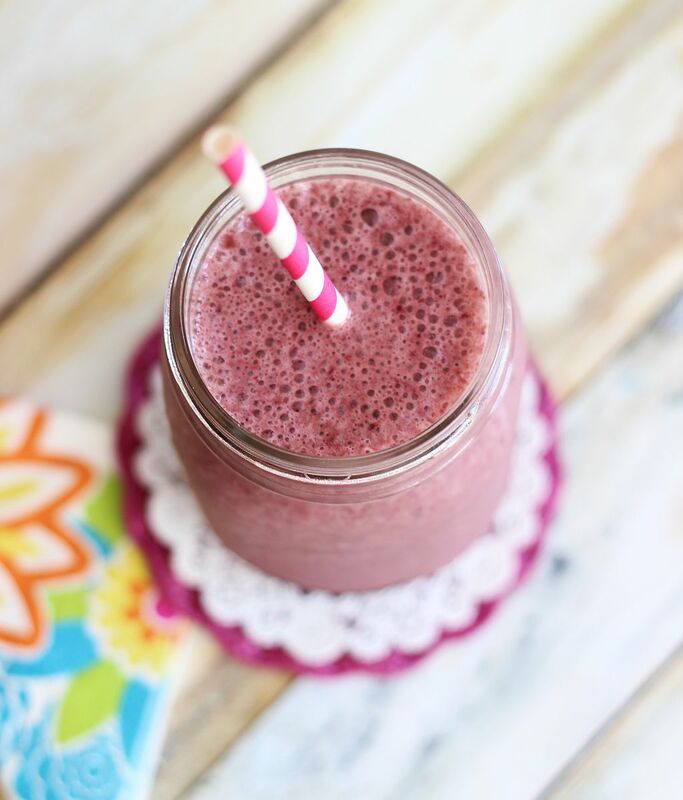 A quick and easy high-protein smoothie made with black cherries, iced green tea, Greek yogurt, and protein powder! I am interrupting crepe week briefly to talk about this delicious Black Cherry Green Tea Smoothie. As I write this, I’m traveling for work and I’m in a hotel room! S.O. and I are both really run down lately. He has a big project due at work in the middle of February, and I’ve also had some changes to my day job that have made it more demanding lately. I’ve also done an exceptional amount of travel recently – like I am right now – and that always exposes me to a lot of different things and compromises my immune system. We’ve been burning the midnight oil quite a bit and we’re short on sleep. Basically, we’re all-around beat. I’m not sick yet (and hopefully I’m not jinxing myself), but it’s still a good opportunity to rejuvenate with a smoothie that’s packed with nutritious and immunity-boosting foods. 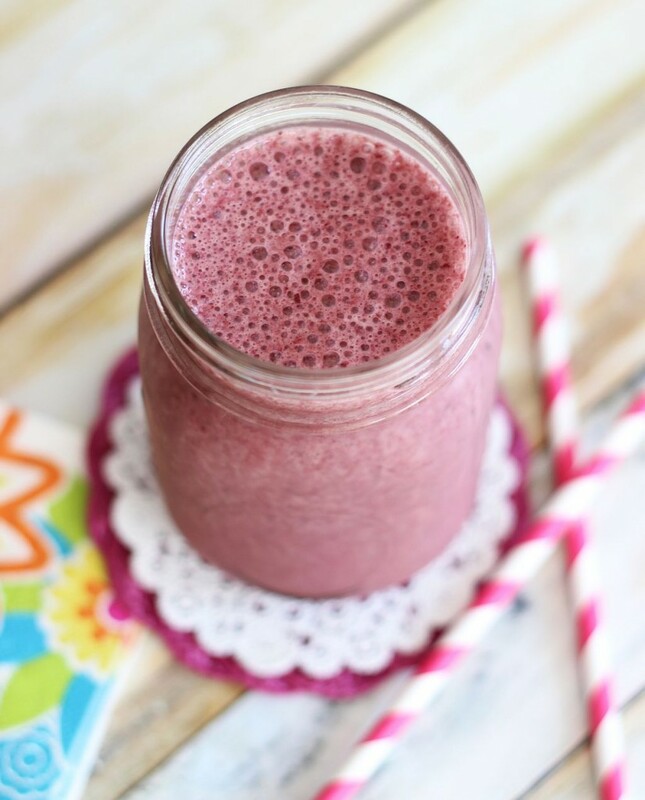 This simple and fast Black Cherry Green Tea Smoothie is full of ingredients that will soothe cold symptoms and help fight illness. 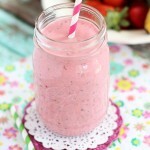 Made with green tea as a base, and rounded out with frozen cherries and Greek yogurt, it contains lots of antioxidants. When I first started using green tea as a smoothie base, I wasn’t fully confident that black cherries would be a good complement to green tea. They are though. They really are. 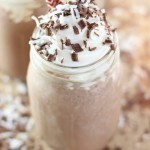 The protein powder and Greek yogurt both provide a boost of protein, as well as add a nice creaminess to the shake. When we woke up Sunday feeling rough, I knew I wanted to make this old favorite standby smoothie. I’ve been making this one regularly since 2008! As we’re in the midst of cold and flu season, and maybe you’re feeling run down, whip up this quick and easy smoothie to refuel and recharge! 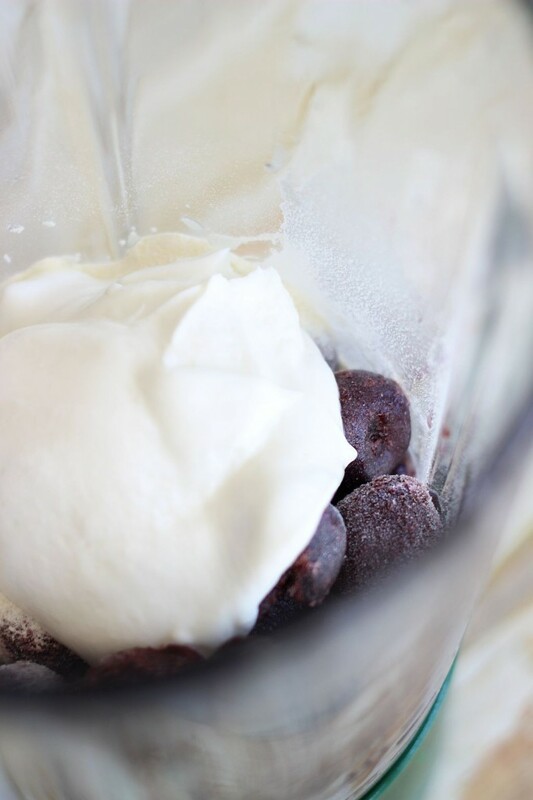 A high-protein, quick, and easy smoothie made with frozen black cherries, iced green tea, Greek yogurt, and protein powder! Divide evenly between two glasses, and serve immediately. Enjoy! Me too! I love cherries. 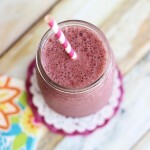 This has been a favorite smoothie for a long time! Thanks, Zainab! I know – I feel like I need immunity boosters badly this week!!! It was good timing to blast one of these smoothies together! I especially love black cherries – this sounds amazing! Pinned! I am a huge fan of green tea and I love the idea of adding it to a smoothie! The black cherry and green tea flavor sounds amazing! Yeah, you wouldn’t necessarily think they’d go together, but they are *great* together. Iced green tea is a great smoothie base! Thanks, Ashley! 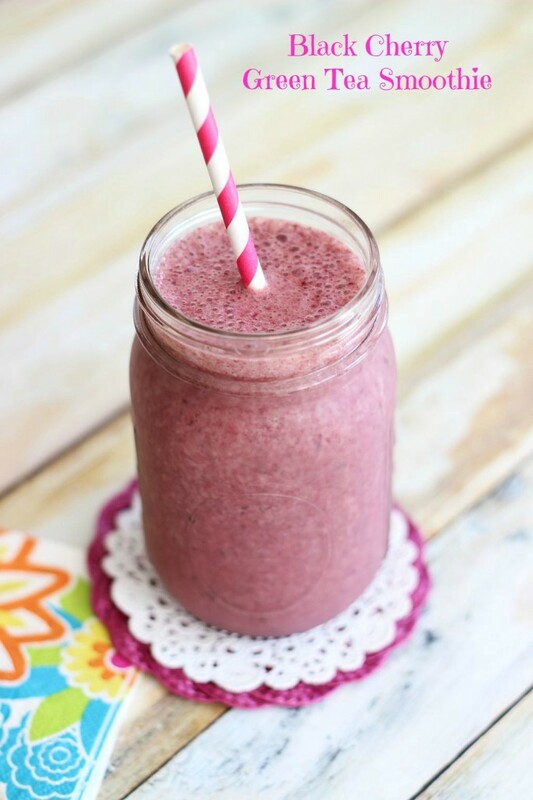 This smoothie looks so refreshing and delicious, Sarah! I’ve never thought to put iced tea in my smoothie, but why not?! So clever. Pinned! 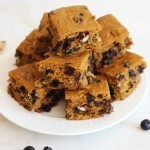 I’ll be making this soon for breakfast! This looks so good! The perfect winter pick me up when everyone’s feeling under the weather! 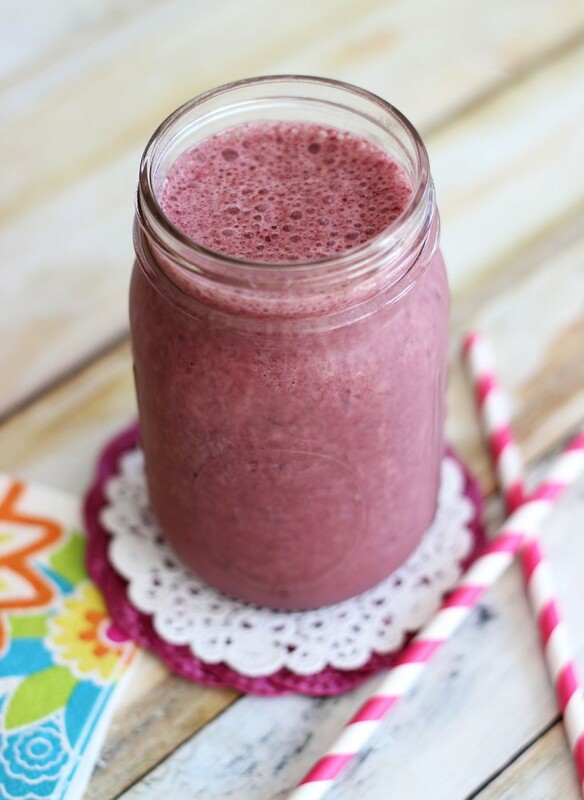 This smoothie looks so pretty and refreshing, Sarah! 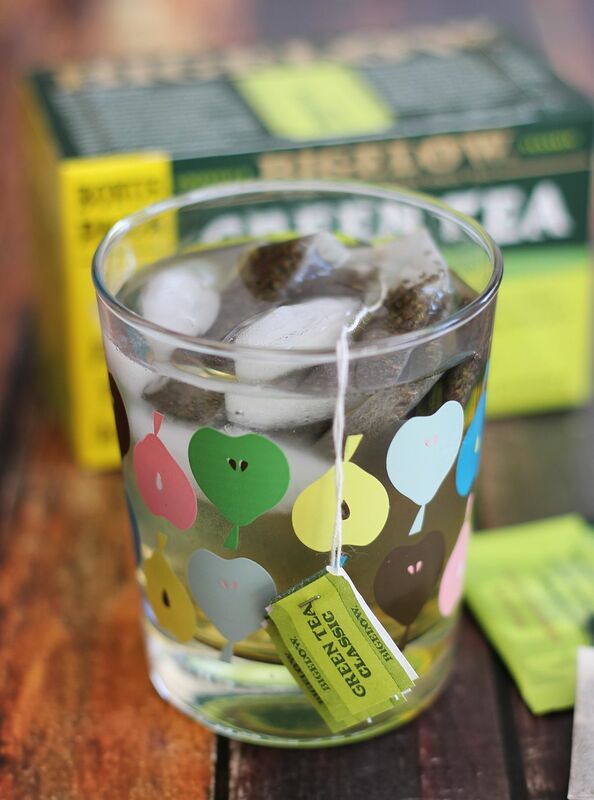 We always have frozen black cherries and green tea and I love the sound of that combination! Can’t wait to try this – sounds amazing! I love the black cherries in this smoothie. 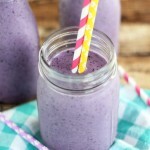 It’s actually my most favorite ice cream flavor so I know this smoothie is delicious! Haha! Thanks, girl! So glad you like it! This smoothie looks fantastic, Sarah! I love the pretty color and flavors. I’ve never thought to add green tea to a smoothie before, so I’m loving this! This looks delicious. 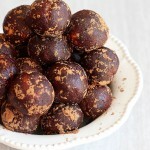 I’m going to try to make a few of these this week and will let you know how it goes! It’s one of my favorite smoothies ever. I think it’d be good with blackberries too, and maybe peaches, but I haven’t tried that. I’ve only ever made it with cherries! This smoothie sounds wonderful. Smoothie’s especially when they have fruit in them are one of my favorites and the cherries sound yummy. What kind of protein powder do you suggest? Thanks Sarah, I will check them out.